Red hot chili peppers could easily be the title of this post but I prefer to concentrate on the color and not the famous band. I don't think this is a chili pepper either but it certainly looks hot. 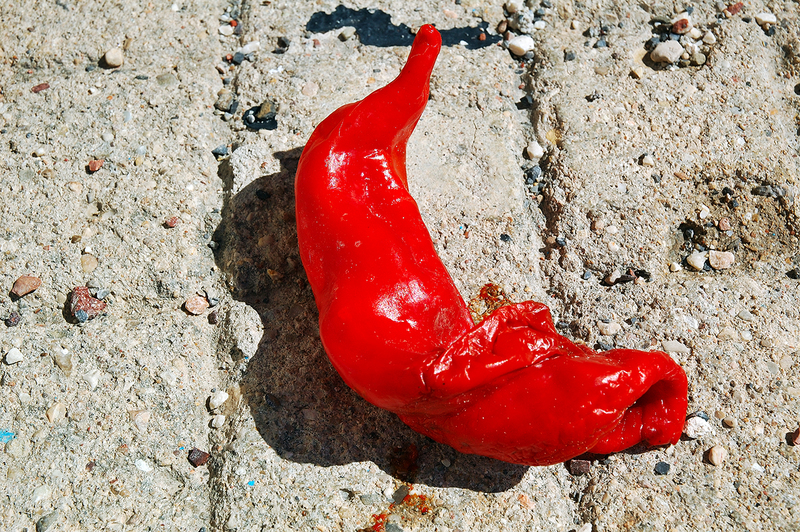 The afternoon sun and the texture of the cement floor emphasize the shape and highlight the vivid color of the pepper which was drying up fast although not where it was supposed to be, hanging from a string on the wall nearby. I love the color and texture in this photo, Carlos. . .Was this in the city? In the market, perhaps?